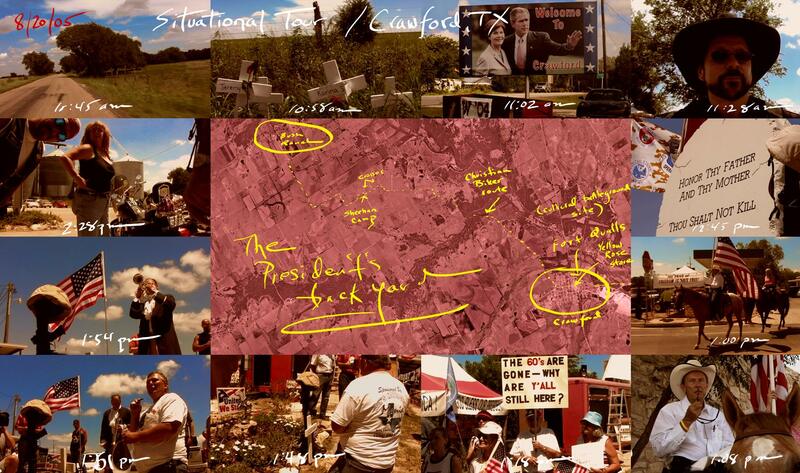 Afterwards, a phenomenon occurred in Crawford, Texas, the President’s sleepy ranch paradise. I descended into the dusty town to engage the showdown that had erupted between the Sheehan Camp and a posse of Cowboys and Christian Bikers who ride and pray for the President. Out behind the Yellow Rose memorabilia shop they ceremoniously declared war against the protestors. As battle lines were drawn and the bugle sounded, I hastily exited the scene.